I would like to offer you some objective information about me. In the achievements section below, I have provided you with the awards and credentials that I have achieved during my Real Estate Career. In addition, I have included some testimonials/references from past clients. Nothing speaks more loudly than a raving fan! "The referral of your family and friends is the greatest compliment you can give me. Thank you for your trust." Call Bryan today. I would love to add you to my list of satisfied and happy clients! 2014 Sales Achievement Award for Sutton Group - West Coast Realty (White Rock) Prestigious Sales Award - given to the top Salespeople at Sutton Group. 2013 Sales Achievement Award for Sutton Group - West Coast Realty (White Rock) Prestigious Sales Award - given to the top Salespeople at Sutton Group. 2012 Sales Achievement Award for Sutton Group - West Coast Realty (White Rock) Prestigious Sales Award - given to the top Salespeople at Sutton Group. 2011 Sales Achievement Award for Sutton Group - West Coast Realty (White Rock) Prestigious Sales Award - given to the top Salespeople at Sutton Group. 2010 Sales Achievement Award for Sutton Group West Coast Realty (White Rock). Prestigious Sales Award - given to the top Salespeople at Sutton Group West Coast Realty. Past Director of the second largest Real Estate Board in Canada. Elected by its membership of 7000 licensed Realtors. Past President and Chairman of the prestegious Investment, Commercial and Industrial Division. Elected by its exclusive membership. Past Director of highly specialized Business Brokerage Association. Presidents and Directors Award for top sales achievement. Recipient of these prestigious Awards for top percentile residential sales achievement. A RRS, Registered Relocation Specialist with a leading Real Estate Company. Specializing in, incoming and outgoing executive relocation. Certificate of Achievement "The Progressive e-realtor"
"The Progressive e-realtor." The most advanced computer skills in all aspects of Real Estate-related software applications. Licensed in 1989, passing the Real Estate Course with Honors. Testimonial: Relocation - Moving to the Island. Thanks, Bryan, for all your work. We will certainly pass your name on to others and, in fact, have already been doing so. Have a good Christmas and a very Happy New Year. Testimonial: Relocation - Downsizing to Strata. We discovered Bryan at an Open House in our condominium where we were temporarily renting. His knowledge and happy disposition struck us right away. We had moved to White Rock from out of province and needed someone who we felt confident and a good grasp on the area and excellent condominium/strata knowledge as this was our first after having had single family dwellings in the past. Bryan was patient and thorough. We liked that he was attentive to our needs and wants, although those shifted and we ended up with something that we hadn't even though of! Thank you Bryan, it was fun working with you! Testimonial: Relocation - Retired Couple. Hi Bryan, We were very pleased that you were able to sell our Abbotsford condo so quickly and then find the perfect condo for us in White Rock. Your professionalism and patience with us was much appreciated. Testimonial: First Time Home Buyers. We highly recommend Bryan Hatch for helping you purchase your dream home. He is the kind of professional you can truly trust to represent you every step of the way. He is really experienced and knowledgeable and you can tell he really knows what he is doing. Bryan is very professional, patient, polite and overall an extremely pleasant person to deal with and he kept us up to date at all times. In simple words, he is the perfect Realtor. As first time homebuyers we were really undecided on many things and he recommended us to make a list of the must-haves for our new home. He was very patient at showing us ALL the houses we wanted to see. Always available and great at following up! When he found the house that was meant for us he made sure we got the first showing and put our purchase offer first. He did a great job at negotiating the purchase price and he even went the extra mile helping us throughout the financing process. We are happy to say we got all that we wanted in our dream house and a beautiful view we didn't even ask for! Testimonial: Upsizing into larger brand new custom built home. Bryan, Wendy and I want to thank you for the hard work you put in to sell our townhouse in White Rock. Although the market was down you sold it in a short period of time, largely because of the dozen or so open houses you held (lost track of how many you had!) over several weekends in a row. There was another almost identical unit that went up for sale in our strata just two days after ours, yet you got ours sold first even though our asking price was higher. You also gave excellent advice for the new place we purchased, resulting in getting us a great price that fit within our budget. We appreciate the extra time you put in and extra tasks you did for us as well. We will definitely refer you to any future clients. Thank you again. My Husband and I have dealt with numerous realtors over the years in various locations and circumstances. 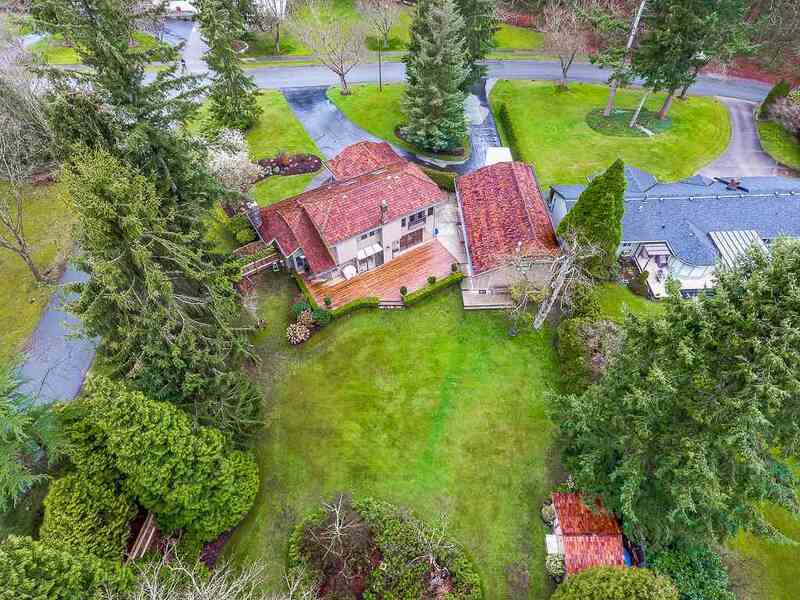 However in the recent sale of our present house and the purchase of the retirement home of our dreams in White Rock we were fortunate enough to have Bryan Hatch representing us. In such a difficult market without Bryan's hard work and perseverance the transaction would never have taken place. In dealing with Bryan he has proved to be a person of honesty, determination and creativity, but the qualities we appreciated even more were his patience, understanding, and respecfulness towards us as his clients. Our children are as happy as we are that finally we have found the perfect home and hopefully will now settle down! We found Bryan to be extremely professional in every aspect of both the sale of our property and the purchase of the new one. He walked us through every step of the process, recommended an excellent team for the property inspection, financing and legal arrangements. He was always available and answered all our questions patiently and knowledgeably. We were very impressed with his knowledge of the real estate market and his attention to detail. We highly recommend Bryan for all your real estate needs. We would like to thank you for your hard work and support. Also express our admiration for your patience & fortitude, you remaining by our side the last couple of years&seeing us through lifes many events. We would also like to thank you for making our transition a pleasant one. We consider you more than a Realtor, we regard you as a trusted friend. Again many thanks for all your help. It is greatly appreciated. We wish to take this opportunity to thank you for the professional manner in which you handled the sale of our condo and the purchase of our townhome. There were a few challenges that required skill and expertise which you handled in a very diligent manner. Overall, we found working with you to be an enjoyable experience and would recommend you as a realtor to our friends. Thanks for a job well done. Thank you for your great work in helping us find our new home. It was really great work! As a first time home buyer, I expected the process to be stressful and intimidating, especially after a couple months of working with other realtors. But in fact we experienced just the opposite when working with Bryan to purchase our new home. I owe it all to Bryan Hatch who helped me every step of the way. Not only did he find just the right home for my family, he also guided me through the entire process. Bryan is patient, kind and just an all around beautiful person. I would highly recommend Bryan to anyone in the process of purchasing a home. Dear Bryan, Ted and I just want to thank you so much and let you know how much we appreciated your expertise in the selling of our home. You did an excellent job and handled every detail in such a professional manner and with such a cheerful and positive attitude. We and many of our friends really were impressed on how you captured our home with your photographic skills and never have we seen a home better advertised.. A job well done Bryan! To whom it may concern, My mother passed away three days before Christmas. As my mothers executor, I had to deal with things like wills and lawyers. When I went to sell my mothers place, I ran into Bryan and asked him to help me sell the place. Bryan was the most professional realtor I have ever met, and I now consider him a friend. He doesn't just sell houses (although he does that very well! ), he builds relationships and focuses on the people involved. The whole ordeal was made, if not pleasant given the circumstances), at least relatively painless. Bryan was sensitive to the stress we were under, and gave sound advice, in a very friendly manner. More than a good realtor, I now consider Bryan a friend, and should I have any real estate needs in the future, you can be sure I will call him to deal with it. His advice on preparation, I am sure, contributed to the fast sale, and perhaps even to us getting more than our first asking price. I would not hesitate in recommending Bryan Hatch to anyone who is selling, or buying a home. Bryan worked with us in the White Rock area to find a home in 2005. He was very enthusiastic about his job, professional, polite and with a good sense of humour. He always tried to get us the first visit on a new listing, always returned calls, good on follow-up and was a good listener. His patience with our special needs was greatly appreciated. He used the MLS computer system efficiently to select the features we required. We can highly recommend him to anybody to assist them in finding their special home. This letter is to express our sincere appreciation for the work done by Bryan on the sale of our home. Bryan has worked with great enthusiasm upon taking the assignment, and he actively introduced our home on the market to give appropriate exposure, cultivated potential customers from all available sources, and gave us helpful advice on pricing and negotiation. Since he became our representing agent, our home sold in a timely manner, as it did not sell with our previous agent. Bryan posses an accurate evaluation of the real estate market, along with necessary know-how to implement corresponding selling strategies. His exceptional strength as a real estate agent, which we believe, comes from his keen insight into the real estate industry, as well as an ability to sense the sophisticated needs of both the seller and the buyer. While our home was on the market, Bryan has contacted us on a frequent basis with up-to-date information on the market situation, and made certain that we were well-informed about the progress of the sale of our home. His aggressive yet unpersuasive attitude towards the sale, based on honesty and devoted professionalism, let us leave the matter in his hands with absolute trust. We are happy to complete the sale of our home, and at the same time, feel fortunate to have an agent, such as Bryan, who provided us with continuous support, understanding and care during the time. It has been our pleasure to work with Bryan, and we would strongly recommend Bryan to any person who plans to engage in real estate transactions in the future. When I first met Bryan, I wasn't even looking to buy. Just browsing through a "high end" condo complex. My first impression was, now there's a great guy. Real nice, down to earth, and knowledgeable. We soon became good friends and it was only a matter of time before we were able to buy. Bryan has represented us in selling and buying 6 homes with the highest level of commitment and trust. He is and will always remain the watermark when it comes to, what I would consider, the type of person you'd want to help you buy or sell your home. Thanks for a job well done Bryan in selling our home? We both enjoyed working with you. You have a pleasant combination of both professionalism and making people feel very comfortable. A trait rather hard to find in business these days. We wish you the best and will recommend our family and friends to you. "Bryan knows White Rock & South Surrey well and had the patience and experience to help us find our new Ocean Park home. Bryan worked very hard for us before and after the sale. We would recommend him to our friends." I recently engaged Bryan as my agent in the sale of my home. I found Bryan to be diligent in his efforts on my behalf and his advice regarding price to be both practical and realistic. My home was sold within a reasonable time, particularly if one considers that "for sale" signs and "open houses" are prohibited at this property. Furthermore, he negotiated a price that was close to the asking price and terms that were very satisfactory to both the buyer and myself. Thank you for your letter and your good wishes to us in our new home. We appreciated your help in this complicated process and your delicate handling of the negotiations, since you represented both us and the vendor. Your willingness to point us toward mortgage advice was also of assistance to us. We wish you well in what we know will be a rewarding and successful career.